Stella is still a little young to understand leaving treats out for Santa and his reindeer, so I haven't participated in such a tradition in quite a few years. In fact, it was probably at least 20 years or so ago when my younger sister and brother still believed that the Jolly Fat Man snuck into our house and not only left us presents, but also ate the snacks we left out for him. I don't remember very vividly, but I think we only left a few cookies and a glass of milk. I don't think we left anything for those hard-working reindeer of his! 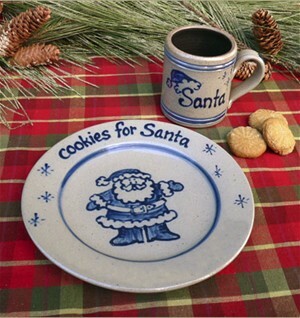 One of the traditions on CafeTraditions.com features one family's take on leaving out a treat for Santa. Read about it here and feel free to leave a comment below on what tradition you have for leaving a treat for Santa.